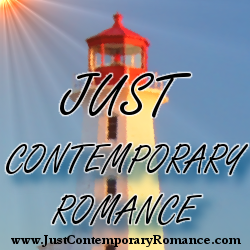 Just Contemporary Romance: Where in the world do you find love? Where in the world do you find love? The title of this post probably makes it sound like a plug for a dating service. And that would be a great topic for a future post! But in this one, I’m talking about the types of settings we love to read about when we pick up a romance novel. “Where” we find love between the covers…book covers!…can be based on a real location or a fictional locale. Sometimes these books are set on a grand scale. You know what I mean—the tales that draw us into a sweeping setting, such as all of Europe, the expanse of the Pacific Ocean, or the realm of the British Empire. Whatever the hero and heroine’s story “world,” it’s a place where they find each other and, eventually, fall in love. A place we fall in love with and, often, want to return to again and again. 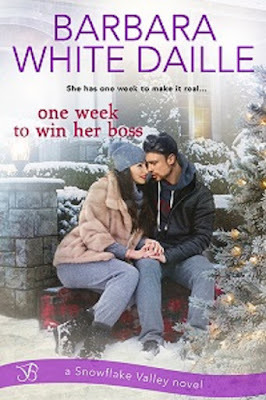 In the case of One Week to Win Her Boss, the characters’ story world is the entire town of Snowflake Valley, Nevada. As I’m currently working on book three of the series, I’ve spent quite a bit of time there. And I’ve come to love it. It’s the specific details of a setting that makes it come alive for us. Those can range from the building-by-building outline of a college campus to the color of the napkins and placemats in a small-town teashop. What makes the difference is not just how the setting is described but who is relating that description. Those napkins in that teashop will mean different things to the newly widowed heroine trying to save her failing business versus the biker dude who just breezed into the dry town and is being served oolong-what?!? instead of the Jack Daniels he’s craving. I hope the excerpt below gives you an idea of why filtering the setting through the eyes of a character can be so important. Quick note: We’re seeing this scene through the hero’s point of view. Amber touched the medallion hanging from its ribbon. The way Amber whets mine. She was his something sweet. Too sweet. Too hurt. Too surrounded by family. Amber had told him the businesses on Icicle Lane stayed open later than usual this time of year, taking advantage of the additional tourists here for the festival. Night had fallen a long while ago, but the area was as bright as day. Strings of colored lights arced across the street between the posts. Wavy rectangles of light shining through store windows and doorways made the sidewalks look like rivers of gold. She glanced up. “What’s wrong?” she asked quietly under the noise of the conversations around them. Ah… Well…yes. Snowflake Valley is a “feeling.” But Amber feels very differently than Michael does about the town she loves. About the holidays and family and marriage. And that’s just where the trouble begins for these two. From tiny town to an entire continent, what’s your favorite setting for a romance novel? I’d love to know. Meanwhile, if you're on Goodreads, the Countdown Widget above has a link to add the book to your shelf. And don't forget to check below, where you'll find info about the Rafflecopter giveaway. Barbara White Daille lives with her husband in the sunny Southwest. Though they love the warm winters and the lizards in their front yard, they haven’t gotten used to the scorpions in the bathroom. Barbara also loves writing, reading, and chocolate. Come to think of it, she enjoys writing about those subjects, too! Barbara wrote her first short story at the age of nine, then typed "The End" to her first novel many years later...in the eighth grade. Now she's writing contemporary romance on a daily basis. Sign up for her newsletter to keep up with the latest in her writing life: https://barbarawhitedaille.com/newsletter. I don't read many Christmas books but this one sounds very good to me. Looking forward to reading "One Week to Win Her Boss".